Swinnow Road roundabouts: Improvement or just confusing? | West Leeds Dispatch | News. Views. Get involved! Controversial: Roundabouts at the bottom of Swinnow Road – an improvement of confusing? A double roundabout aimed at improving traffic flow at a congested west Leeds junction has been branded ‘confusing’ and ‘illogical’ by baffled motorists. 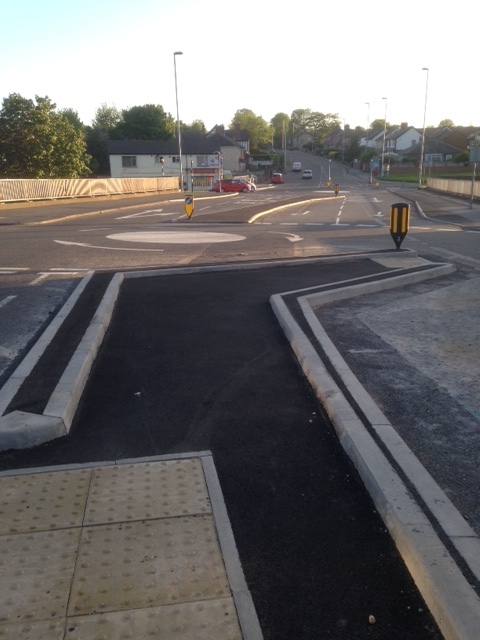 Last month Leeds City Council installed two mini roundabouts and resurfaced the road at the junction of Swinnow Road and the Stanningley Bypass, alongside a traffic island. The council hoped the £95,000 scheme would make it easier for pedestrians to cross the junction and access Bramley Station and the nearby Swinnow Morrisons. But the improvements have proven to be controversial for some. “Can someone explain the logic of the new double roundabout at the bottom of Swinnow Road near Morrisons? You can’t go round them for a start and whichever direction you go you can only ever have two options. A report considered by councillors two years ago said Swinnow Road has a ‘consistent accident pattern’ and has been on the council’s ‘Lengths for Concern’ document since 2004. What do you think? Have your say in our poll and in the comments below. UPDATED June 2, 9.25am: Pudsey councillor Richard Lewis has defended the scheme. Check out his response here.